VolkswagenThe Volkswagen I.D. Buzz Cargo commercial van is slated to go on sale in either 2021 or 2022. 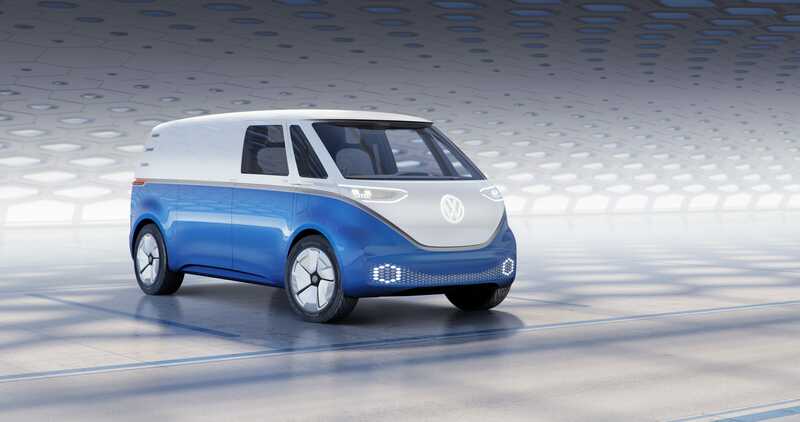 Volkswagen has reached into the past and is now bringing back the iconic microbus in two new fully-electric vans slated to be released in the early 2020s. The German automaker unveiled its plans last month for the I.D. Buzz Cargo, an electric, commercial panel van version of the microbus, after earlier showcasing its planned release of the I.D. Buzz concept passenger van microbus. Once an icon of the care-free counterculture lifestyle of the 1960s and ’70s, the Volkswagen’s microbus was discontinued in 2013 because of safety concerns centered around a lack of air-bags and anti-lock brakes. Volkswagen hopes the I.D. Buzz and I.D. Cargo will have the ability to transition toward fully-integrated autonomous driving modes by the mid 2020s. 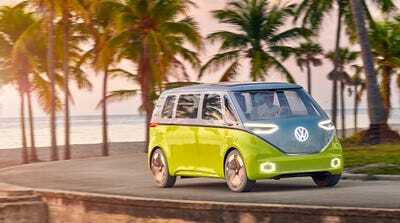 Volkswagen has reached into the past and is bringing back the iconic microbus in two new fully-electric vans slated to be released in the early 2020s. While Volkswagen announced earlier in the year the expected production of the I.D. Buzz concept microbus, the German automaker unveiled its plans last month for the I.D. Buzz Cargo, an electric, commercial panel van version of the microbus. According to Fox News, the I.D. Buzz Cargo may hit the road before the I.D. Buzz concept, which first made its debut at the 2017 Detroit Auto Show and is expected to become available in showrooms in 2022. 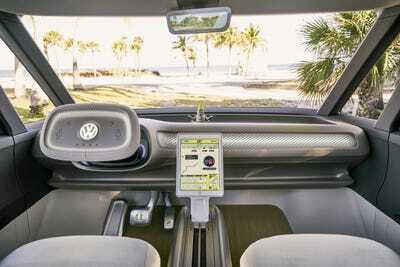 VolkswagenInterior shot of the Volkswagen I.D. 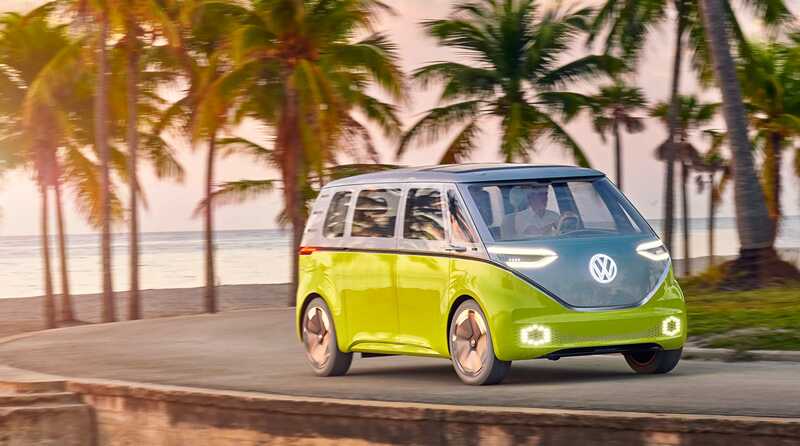 Buzz concept microbus. According to Volkswagen, the I.D. Buzz Cargo will have a battery with range of up to 340 miles per charge, with a large solar roof panel that can extend the daily range an additional nine miles. The van will have the ability to charge to almost 80 per cent capacity in only 15 minutes, and is a fully-connected vehicle with a cargo tracking system that makes it possible to track orders and manage online supply networks from inside the cockpit. Once an icon of the care-free counterculture lifestyle of the 1960s and ’70s, the Volkswagen’s microbus was discontinued in 2013 due to safety concerns centered around a lack of air-bags and anti-lock brakes. Bringing back a passenger and commercial van is a step in a different direction for Volkswagen. The Wolfsburg-based automaker last offered its imported Transporter van to U.S. buyers 15 years ago and it hasn’t had a van in the U.S. market since 2014. Volkswagen hopes the I.D. Buzz and I.D. Cargo will have the ability to transition toward fully integrated autonomous driving modes by the mid 2020s. VolkswagenVolkswagen hopes the I.D. Buzz Cargo and I.D. Buzz concept electric microbuses will transition to autonomous driving by the mid-2020s.